CoSchedule Review. Schedule Instagram, Facebook, Twitter, Pinterest & more all from your CoSchedule calendar or WordPress plugin. Built-in customizable templates make it easier than ever! This post is part of my blogger resources collection. To see the whole list of recommendations check out this page. CoSchedule started out as a simple social media scheduling tool, but has grown so much to be a tool I can’t live without! 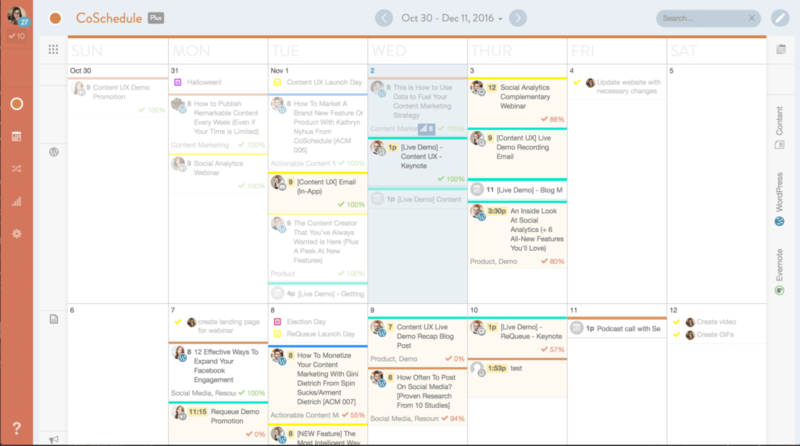 Editorial planning, calendar management, and social stats are just a few of the things that CoSchedule helps me with. Watch this overview video to get a quick glance into what CoSchedule can do for you. Then keep reading to how I use the tool every day! One of my favorite things about CoSchedule is that you can create a template for sharing your blog posts, both new and old. This not only saves a ton of time, but makes sure that you are continuously sharing older content evergreen content to your followers! For example, since I created a template for when I share a new recipe, it will automatically be scheduled to go out on Facebook, Twitter, Tumblr, Pinterest and Instagram that same day. You can set a specific time or choose for CoSchedule to choose the best time based on your followers engagement levels. Not only can I schedule shares for when a post goes live, but I can set it up any time in the future – so if I want to have a Facebook share again in 2 months, or even in a year, I can build that in the template. To show a real life example, I published a roasted beet salad recipe the other day. I not only sent out 6 shares the day it went live, but I have it scheduled to repost to twitter next week. Most recipes are evergreen, meaning they are still relevant at any time, so it’s important for me to set up a system where my recipes are shared well into the future! CoSchedule helps me do that. 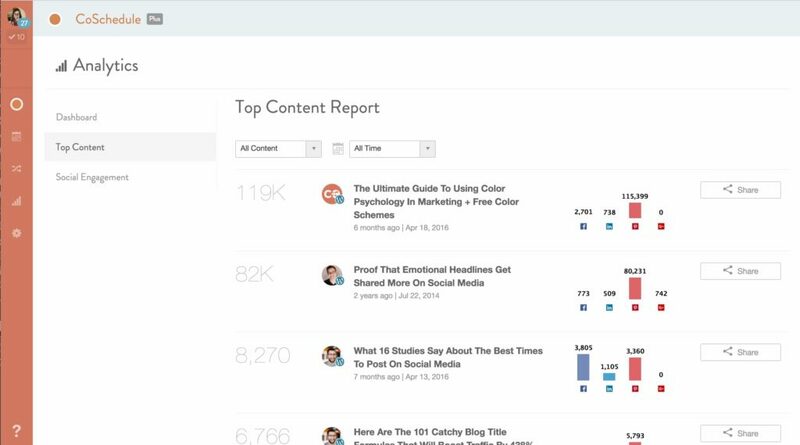 The calendar view makes it super easy to see all your scheduled content at a glance. You can drag and drop anything on your calendar to a better day if you need to reschedule, or if one day gets too crowded. And on the flip side, if you see days where there’s nothing being shared it is easy to add any social message and pull up an old blog post right from the calendar. It’s a great birds-eye look for the content published on both your blog and social media channels. Below is an example of the calendar for the CoSchedule blog. 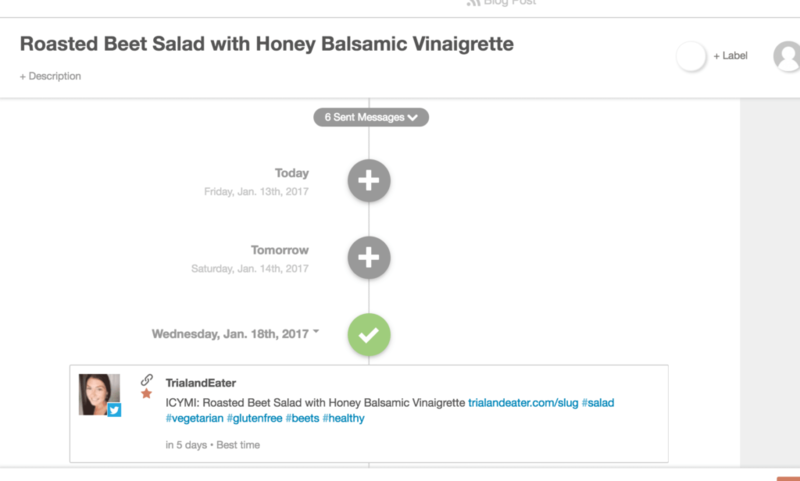 If you have a team, you can make task lists and assign them to other members with deadlines, so you can always see where the post is in the workflow. 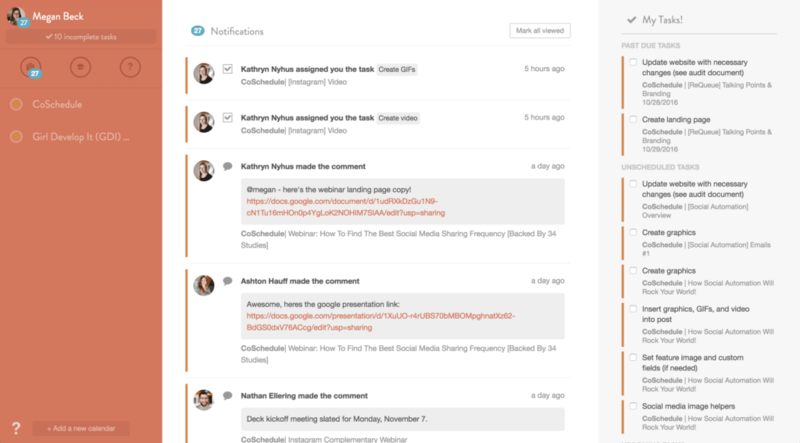 Even if you don’t have a team, you can set up tasks that need to be completed before a post goes live. Another nice feature CoSchedule provides is analytics. They keep track of what is currently popular on your social media channels, and encourages you to share what is already doing well. Ready to sign up for CoSchedule? My referral link here will give you a free trial to try out all these amazing features. Thanks for that awesome CoSchedule review! We appreciate you taking the time to write about you’re using CoSchedule with your blog!